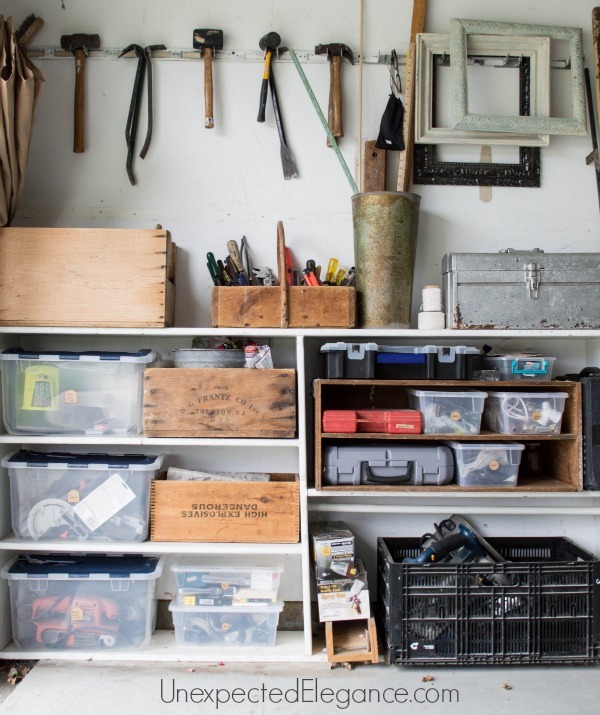 Does it seem like your home is overrun by clutter? Even if you have worked to declutter your home, you may still have clutter. (BElEVE ME…you are NOT alone!!!) 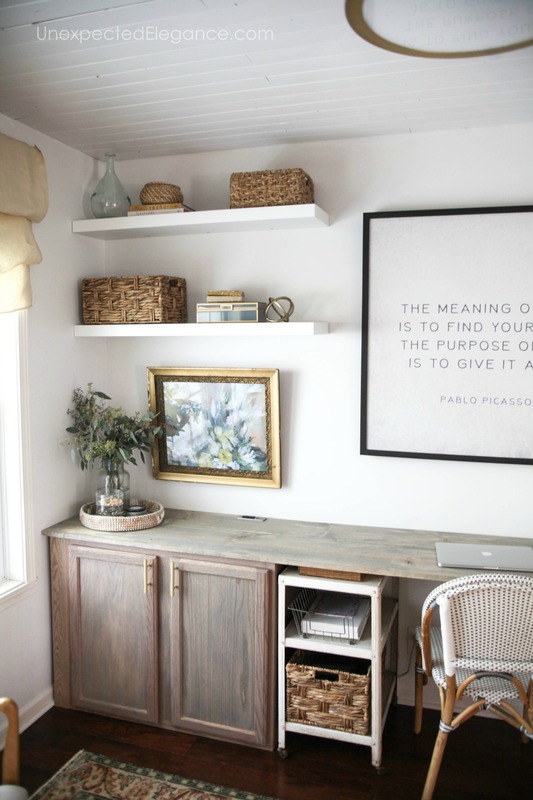 The truth is we all have items that we need, but can make our homes seem cluttered. It might be craft supplies or kitchen utensils. Whatever it is, there are ways to hide it. One of the best things you can do to hide clutter is to have a place for everything. When you have a place for everything, it’s easier to put things away. This naturally prevents clutter. All you need to do is put things away when you’re done using them. I did this specific task in garage three years ago, and it has WORKED. You can see the process HERE. This is a great tip to hide items in plain sight. Decorative boxes or baskets make it so easy to keep items where you need them without having clutter. For example, a decorative box placed on your coffee table can hide your remotes, reading glasses, etc. This makes your coffee table look neat and organized. Yet, everything you need is right there. Decorative boxes also look great on bookshelves. They break up the long rows of books, but are great for housing craft supplies, your nail polish collection, and so much more. 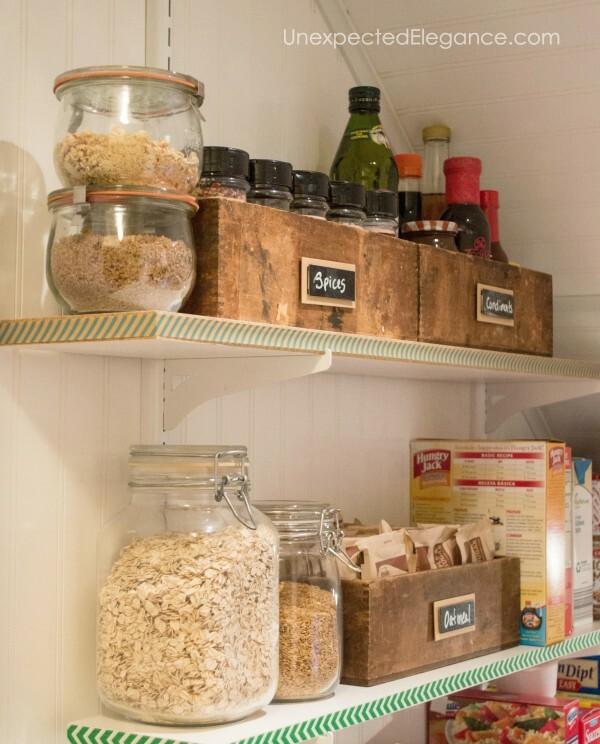 Check out my Pantry Organization Tips. Does it feel like your closet is about to explode? If you have out-of-season items in your closet, take the time to move them to storage containers and place them in the top of your closet. This will give you a lot more room in your closet. The same goes for your holiday decorations. Move those to the basement or into the garage. You want to make sure you have good storage containers that will keep out pests and moisture. You want your home’s surfaces to be free of clutter. For example, clear your desktop of all the supplies. You can move these items to a drawer that has been fitted with storage bins from the Dollar Tree. These bins make it easy to contain all your desk clutter. This not only allows your work space to look neat and tidy, but allows you to be more productive. Corralling items into one area is also a great solution…think trays! 😉 Clutter can be distracting and, if you work from home, you’ll want to be as focused as possible. Clutter doesn’t have to take over your home. 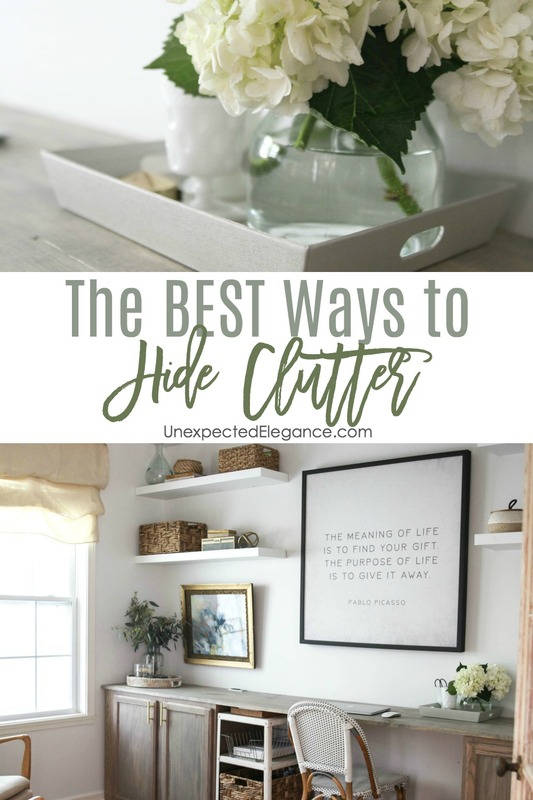 Sure, there are things that you need on a daily basis, but there are clever ways to hide the clutter. « How to Mount a T.V. and Hide the Cords!